All carried out in our fully equipped workshop using mainly original NSU service tools. We can also provide via third party, MOT's and wheel building. Largest stockist in the UK for new and used spares. NSU Quickly UK main agent. 30 years of expert advice and good 'old fashioned' friendly service. 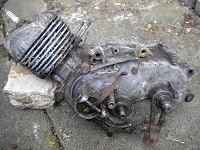 Engine rebuild service, 2 or 3 speed, includes, strip/clean/inspect, rebuild with new bearings, seals, gaskets, o rings. Mechanical engine and gearbox parts as required. Excludes, magneto, carburettor, engine side covers and pedal cranks. Exchange/Reconditioned - 2 speed includes, strip/clean/inspect and fitted with new cylinder, piston, rings, gudgeon pin, small end bush, clutch plates and spring, drive sprocket, 1st gear and 'dog', bearings, seals, gaskets, O rings etc. Returned with bottle of gearbox oil. Some examples of past restoration projects. 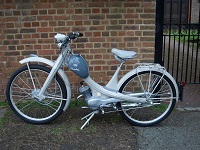 Some examples of bikes, bike parts and engines we have restored. In January 2017, I found a 1963 NSU Quickly S2/23 in an antique shop in desperate need of some TLC.. The NSU Owners Club put me in touch with Roger Worton in Milton Keynes. 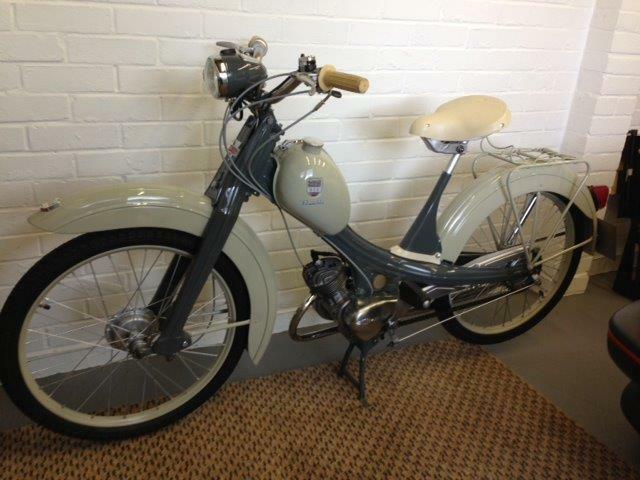 I asked Roger if he could return it to showroom/as new condition, if possible. 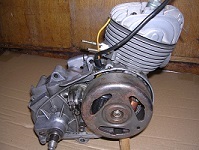 Roger replaced all the parts that could be replaced, and reconditioned the engine. 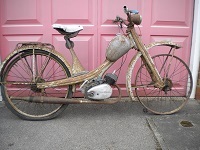 Once unassembled, I had the chassis and mudguards shot blasted and re-sprayed, and the seat re-upholstered - Roger did the rest. Three months later the result has been outstanding (see attached photo). I am extremely satisfied with the finished article and would strongly recommend Roger to anyone who wants to undertake a similar project. Thanks to the expertise and enthusiasm of Roger Worton, the NSU Quickly is now running nicely and kicks over instantly - D.S. I have taken 3 NSU's to Roger so far , Quickly N ( peanut tank), Quickly F23 and a Quickly L ,the latter being in pieces in several boxes which he completely rebuilt, using new parts where missing and necessary. 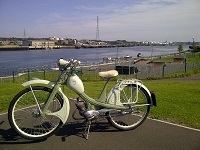 I received it back , as a new bike just out of the showroom. Work to all bikes has been first class and I am very pleased with them all. Having restored two NSU Quicklys and now entering the third, i have just placed another order with Roger. 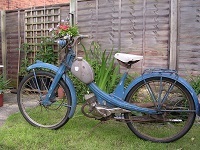 The picture is of our second restoration of which had a bare metal respray of all parts and many new parts supplied by Roger. 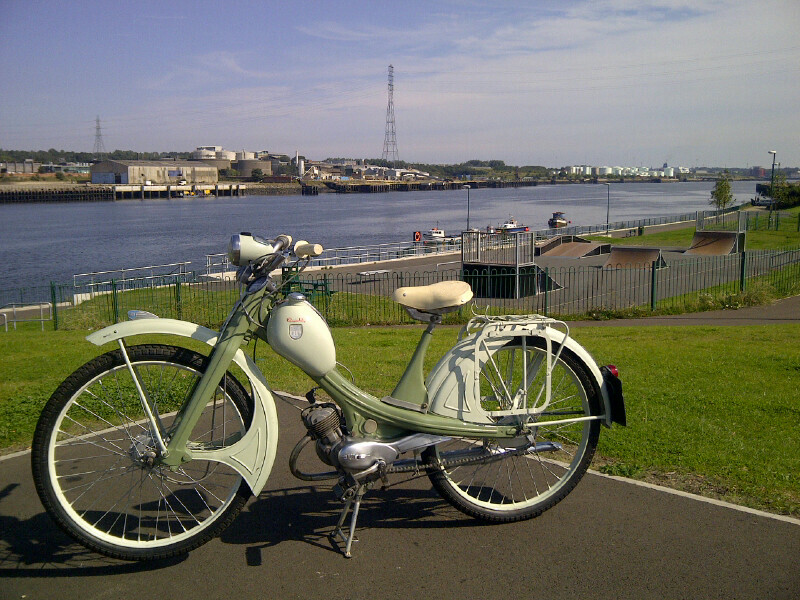 "Thank you for getting my Quickly back on the road again, It rides and sounds brilliant!" 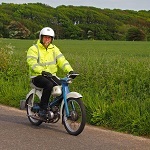 "Your skills have kept NSU Quickly's on the road and in case of my own helped me to get one back on the road after some 40 years stored in an out house!" 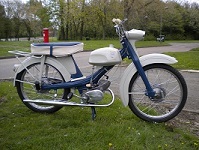 In August of 2013 I purchased two nsu Quicklys and at an early stage contacted Roger at nsu Quickly spares for help and advice as I had not worked on this model before. The service and advice Roger has supplied has been brilliant, if ever had had a problem ( and there were a few ) Roger was at the end of the phone to help and advice. Every item I ordered was delivered in perfect condition and most important fitted together perfectly, delivery was prompt and if there was a delay I was told. The photos above are the end result. A first class service, thank you Roger. Dear Roger,	Thank you so much for your assistance getting my Quickly running well again, your help and expertise is very much appreciated. 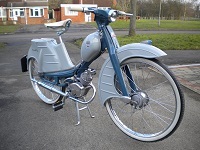 Dear Roger Worton, I have to thank you for your patience and fortitude with me over the last nine years since I first contacted you regarding my early NSU Quickly "Mopeds". Of late you have guided me and have been most helpful with me, supplying the required parts and dare I say free information with my latest project which work a treat. I do hope we have both have longevity to enjoy our mutual interests. Your sincerely J. A. Chepstow.